The most common performance bottleneck of most virtualization deployments is the storage subsystem. Unfortunately, solving this problem is a complicated process and depends on multiple factors ranging from physical infrastructure choices to configuration changes. What key storage subsystem issues does your enterprise need to identify in order to avoid them altogether? 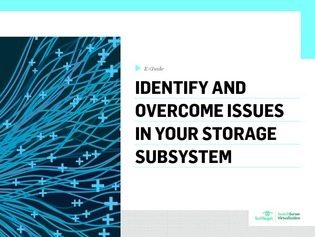 This expert guide highlights common issues in storage subsystems and outlines how to overcome them with benchmark analysis. Discover how your enterprise can safeguard against configuration and storage issues within your virtual environments.